Chronic allergies are a chronic functional problem where you suffer from allergy symptoms like stuffy nose, headache, sneezing, watery eyes, scratchy throat, postnasal drip and itching for much of the time. It is often associated with fatigue, irritable bowel syndrome and hormonal imbalances. Chronic allergies are almost always multi-factorial. Some of the contributing causes may be poor bowel health, metabolic imbalances and poor glycemic control. Symptomatic allergy treatments are almost always unsuccessful. Only finding and treating the root cause of your problem will lead you to a successful outcome. Holistic treatments are the best way to put an end to your allergy symptoms. At MD Wellness, we identify and treat the cause of your problem rather than just treating your symptoms. If you suffer from chronic allergies you must pay very close attention to your diet as part of your holistic treatments. Many of these patients suffer from blood sugar problems. Since adequate blood sugar is necessary for your cellular energy, a state of low blood sugar (hypoglycemia) can lead to your allergy symptoms, as low energy states can lead you to a need for natural allergy treatment. On the other hand high blood sugar (hyperglycemia) can also lead to your allergies, because elevated levels of blood sugar can activate your parasympathetic nervous system (PNS). Many patients with allergies are over-consuming carbohydrates, especially in the form of high fructose corn syrup (HFCS). Are you one of them? You may also be consuming fried foods, polyunsaturated vegetable oils, and food additives like nitrates, nitrites, MSG and artificial sweeteners. These substances are highly toxic, worsen your inflammation and contribute to your allergies. Specific food allergy testing may be necessary as well. You also may be allergic to soy, wheat, milk and gluten. A growing number of allergy sufferers are turning to natural allergy treatment. 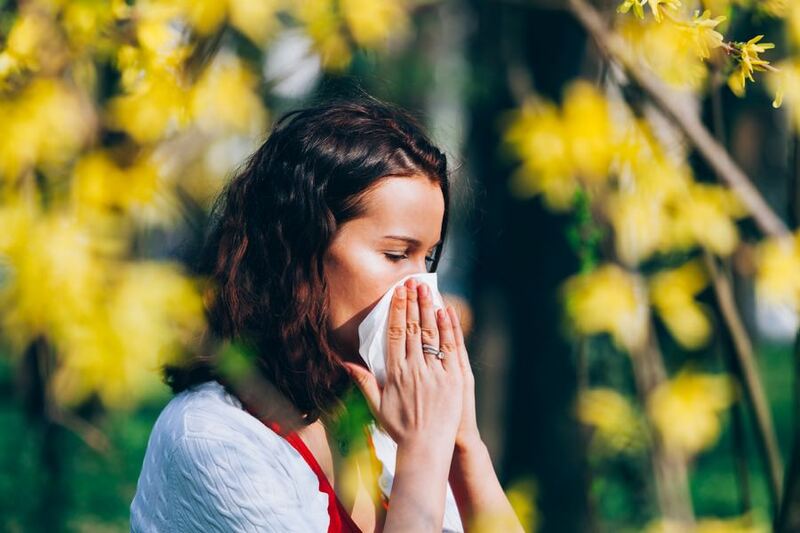 Unlike over-the-counter medications, or even prescriptions, holistic treatments get to the root cause of your allergies rather than simply dealing with your allergy symptoms. If you’re looking for a more natural and comprehensive approach to allergy relief, contact MD Wellness today at (732) 268-7663. A comprehensive explanation of nutritional contributions to allergies and inflammation.